What a Great day…..here’s what to celebrate! Date When Celebrated: Always the last Friday in April. 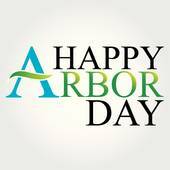 National Arbor Day is the Tree Planter’s holiday, and has been celebrated since 1872. It began in Nebraska, a largely treeless plain back in the 1800’s. It is a day to plant and dedicate a tree to help nature and the environment. Millions of trees are planted on this day. The National Arbor Day Foundation provides millions of trees for planting. It is estimated that 18 million tresses are planted each year on Arbor Day. Did you know? The Latin word for “Tree” is “Arbor”…sure you did!!! Bird Day, held on May 4th, is often celebrated in conjunction with Arbor Day. 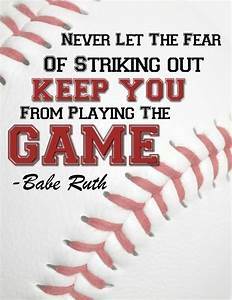 Babe Ruth Day honors one of Baseball’s greatest players ever. On April 27, 1947, Babe Ruth attended Yankee Stadium for Babe Ruth Day. It was to be the second last time he was at the stadium. In 1946, Babe Ruth was diagnosed with Throat Cancer. Back then, there was not as much treatment as there is today. On this day in 1947, “The Bambino” returned to “The House that Ruth Built” to be honored. 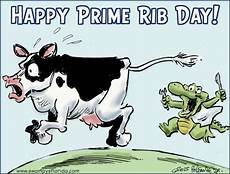 National Prime Rib Day gets your mouth watering, and starts you drooling. Many of us look to this day on the calendar to enjoy one of America’s favorite steaks. There’s only one way to celebrate Prime Rib Day. And, that is with a big, thick, juicy cut of prime rib, cooked perfectly to your liking. Don’t forget the au jus and the fully loaded baked potato. Tell a Story Day celebrates story-telling of all kinds. It doesn’t matter if its fiction or non-fiction, a tall tale, or folklore. Today is a day to tell ’em all. Stories can be from a book, other written material, or from memory. Our research discovered two distinct holidays, one in the U.S. The other is in Scotland and the UK. The latter is by far more prominent and organized. These two holidays are exactly six months apart. Libraries celebrate this day with storytelling hours for kids. You can enjoy today telling stories to your kids, family members, or organizations and groups that you belong to. 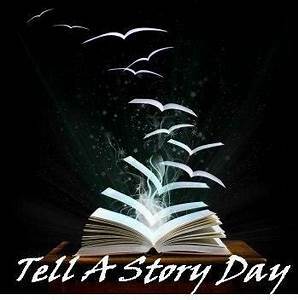 Make Tell a Story Day an important and pleasure-filled experience. To enhance the enjoyment of the story, try setting the atmosphere. If it’s an eerie or spooky story, turn down the lights. Bring decorations and memorabilia that speak to the theme. If it’s about a person, display a picture of the individual. Our research did not find the creator or the origin of this day. We do wonder why the British holiday and the U.S. holiday are exactly six months apart. We believe there is some kind of story here. 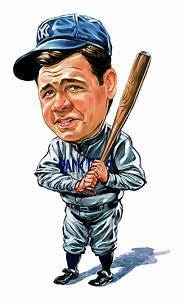 http://arcadiawindber.com/wp-content/uploads/2018/04/Babe-Ruth-Clip-Art.jpg 300 232 Windber Arcadia Windber Arcadia2018-04-27 15:36:382018-04-27 15:36:49What a Great day.....here's what to celebrate! Come hear the cats play and the canary sing….. “Maybe Baby” We’ll See You…..